The queen B is the mother of the hive. 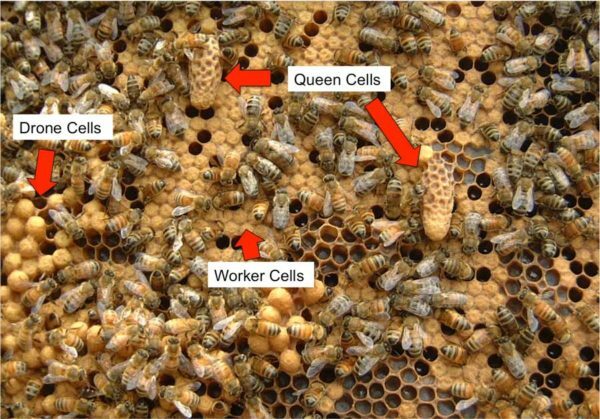 As females, they develop from fertilized eggs that are laid in vertical cells (Queen’s cup). After 16 days (on average), the adult queen emerges with an elongated abdomen that will soon be ready to mass produce eggs. 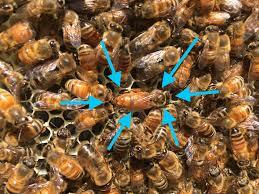 As a virgin queen, she takes off on her mating flight, mates with multiple males (polyandrous) and returns to lay eggs for the majority of her life, until the colony swarms. 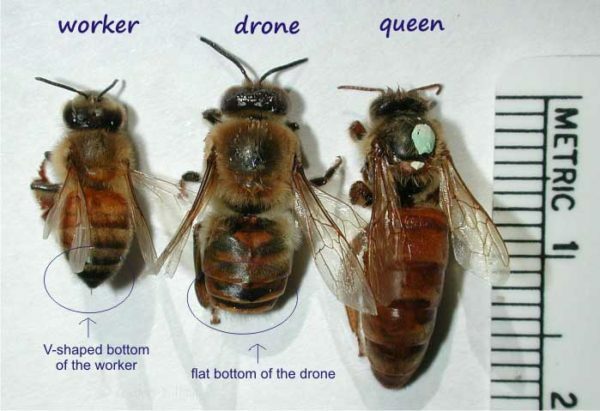 The drone honey bees are all the males in the colony as they are reproductively active and produce the sperm used to fertilize the Queen’s eggs. After mating with the queen they die immediately.